Dream of going to law school? It’s now within your reach. With more than 125 years of legal innovation, Denver Law transformed its part-time program to meet your needs. Today’s technology enables access to cutting-edge legal education for working professionals like you. Balance your career, family, and educational goals with curriculum designed for your schedule. Courses are offered up to one-third online and every other weekend. 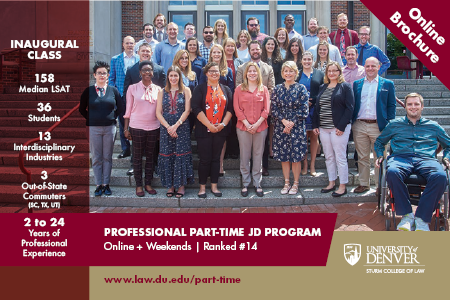 Ranked #12 nationally, our Professional Part-Time JD program offers innovative learning with a global perspective taught by nationally-acclaimed faculty members. You will gain the practical skills to make an immediate and valuable legal impact, as well as join a professional network that’s 17,000 alumni strong and counting. Online on your time, on-campus classes every other weekend and, of course, holidays off. A complete rundown of your orientation, on-campus class and exam schedules. Denver Law is the answer for your JD education. Learn more about cost, financial aid, courses and more. 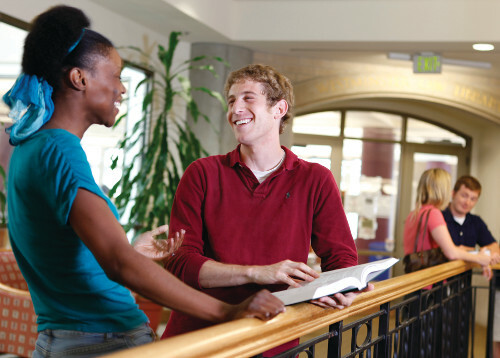 Denver Law’s part-time program is one of the oldest in the country. Throughout our history, innovations in teaching and new understandings about learning have played a central role in our curriculum delivery. The technology available to us today allows for a convenient, but no less effective, method of instruction that provides access to legal education for people with professional and personal commitments that make the traditional full-time program unworkable. With some exceptions,classroom instruction will generally take place every other weekend. The semester is comprised of eight weekend sessions and two additional weekends for final examinations. You should plan to be on campus between 8:30-5:00pm on Saturdays and 9:00am-1:00pm on Sundays. Outside of the classroom, you will need to schedule time both for in-class preparation and an online component of the curriculum. The online portion of your course work will be asynchronous, so you can complete the out-of-class work when it fits into your schedule. Once you have completed the required first-year (30 credits) and upper-level JD courses (10 credits), the program becomes even more flexible. You will have access to the entire course catalog and will be free to take advantage of externships, clinical work, and scheduled classes, dependent on your specific schedule and availability. Some of these opportunities will not be available on the weekends and not all classes in the course catalog will be offered on the weekend or in a hybrid format. However, you will be able to register for non-weekend classes that fit with your schedule, including evening classes. For students that can only attend the program in the weekend format in years three and four, we will offer focused curricular tracks in (1) Corporate/Business and Intellectual Property Law and (2) Public Interest and Criminal Law Practice. Classes will be scheduled to allow students within a particular track to take all classes in that specific track. However, students are not required to declare or remain in a specific curricular track. Students may choose from electives offered during the day, the evening, on the weekend, or in a variety of intensive short courses. Summer semester classes will also be available. How long does it take to complete the part-time JD? Students need to complete 90 semester hours to graduate with a Juris Doctor degree from the Sturm College of Law. Typically, this takes two semesters per year for four years; however, it is possible to graduate earlier if a student is able to take advantage of summer semester classes, externships and online only elective classes. Tuition for the 2019-20 academic year is $1753 per credit, or $38,566 for two semester (22 credits). Further information about cost of attendance and financial aid can be found here. What level of academic and student support services will be available to me? You will have access to all of the student support services provided by the law school, including academic advising, academic support, and career services, either in person or remotely. In addition, you will find programming tailored to the needs of part-time program students. How is the online component structured? The online components of your courses will include interactive exercises and activities, discussion boards, and a variety of assessments. 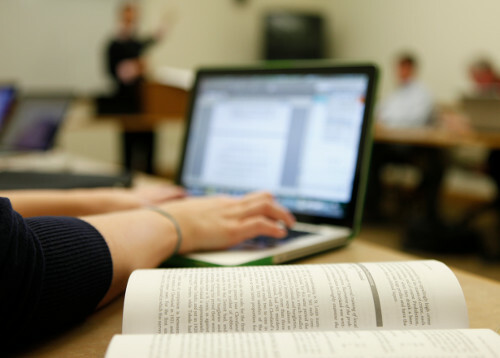 Our technology platform is designed to be user-friendly, and the goal of the program is to allow as much engagement with classmates and faculty as possible. The online component will constitute one-third of the instruction time, with the remaining two-thirds taking place in person during the weekend sessions. What courses will I be taking in the first year? First year courses include Property, Contracts, Civil Procedure, Torts, Criminal Law, and Lawyering Process. Fall 2019 will be the next entering class. Orientation is scheduled for August 10th and 11th. Will I have the same professors as the full-time students? Yes. All first year classes are taught by full time faculty. Indeed, Bruce Smith, the dean of the college of law will be teaching Property this fall. Will I be able to participate in co-curricular activities? Yes. Part-time students will not only have opportunities to engage in co-curricular activities with full-time students, but will have additional programming designed specifically to meet their unique needs. Joining clubs, attending special lectures, and partaking in social and community events with full-time students is encouraged. Journal, moot court, and mock trial participation is available after completing your second year. Some co-curricular activities related to academic support, networking and career planning are tailored to accommodate the distinctive needs of part-time students. Yes. Federal student loans are available to those who qualify. All students are considered for merit-based scholarships during the admission process. For additional information on financial aid, please visit the Office of Student Financial Management. Am I restricted to weekend and online classes? The first-year curriculum (first three semesters for part-time students) is fixed, as it is for all students regardless of whether they are in the part-time or full-time program. 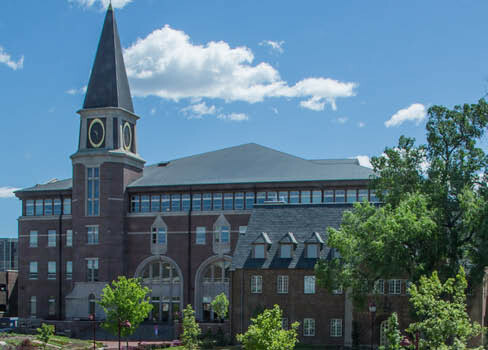 Students have full access to Denver Law’s catalog of classes and other learning opportunities once a student has successfully completed their first-year curriculum. All upper level required classes will be offered on the weekends, as well as during the week. Are the admissions standards different to the full time program? No. 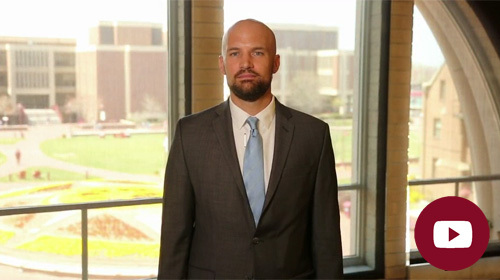 All applicants to the Sturm College of Law receive a full holistic review, regardless of the program to which they are applying. June 1st 2019. All applicants must take the Law School Admission Test (LSAT) by June 3, 2019 to be considered for the Fall 2019 entering class. For more information contact Admissions at admissions@law.du.edu or 303.871.6135.